Great experience working with the professional staff here. They do not play games with their customers, they are up front and they deliver on their word! Would recommend for ANYBODY looking to get a new car. Jerry and Matt were a pleasure to work with. They were able to secure the car we were looking for at a more than reasonable price. They also took care of our old lease in terms of returning it. Using Island Motor Leasing is a full service experience and I would highly recommend them if you are in the market for a new vehicle. I would like to thank Xavier for going above and beyond with his service. I will definitely recommend him and I will be back!! Island Motor Leasing did an amazing job. Not only did they work with me better than any other company I have gone to but they went above and beyond. They care about their customers as if they were their own family. I recommend them for all your future cars and will be using them for the future .. Thank you for your help. I was shopping around for a new car and Niko and Jerry helped me find the perfect car. My new Ford Fusion is beautiful. They gave me the best deal, there was no hassle and best of all the car was delivered right to my house. Thank you so much Niko and Jerry!!! Good deal. Car was delivered to my door. Easy transaction. Went to dealership and was ignored. Jerry gave me 100% attention. Price was better than dealership. Avoid the pushy sales people at dealerships and come here! 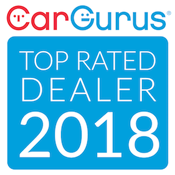 They will take care of your needs and help you find the best deal for the car you want. And it's also way cheaper than any dealership that you will go to. Whether it is your first, fifth,or tenth car purchase, make the process as painless, easy, and most likely, cost effective by heading straight to Island Motor leasing. Currently located in Franklin Square, NY, Jerry and Nico, the owners, helped find the right car that met my financial parameters. Friendly, fun guys with 20 plus years of experience in the car buying business bring that muscle power and relationships with a multitude of banks and dealerships. Whatever the type of car purchase or your personal circumstances, head directly to these guys first. If I had, I would have had a new car A LOT sooner and been enjoying my few days off from work. **Forgot to mention that they also bought me a delicious Greek dinner. Easiest most informed buying experience I've ever had. Delivered right to my door with a smile and a handshake. Don't waste time anywhere else, go here first. I had the best experience getting my Nissan Rogue in July! Great deal and I was very happy w the customer service. Always answered my questions and returned all my messages! Highly recommend them for the best deals. Great customer service! My sister would agree, we got the best car for our family at the best possible rate. Great experience! Really fast, and made the car buying experience enjoyable! Thank you! Love my new car and can't say THANKS enough to Gerassimos Alexatos and of course my hubby, Nikos Katehis for making sure I was surprised ! !